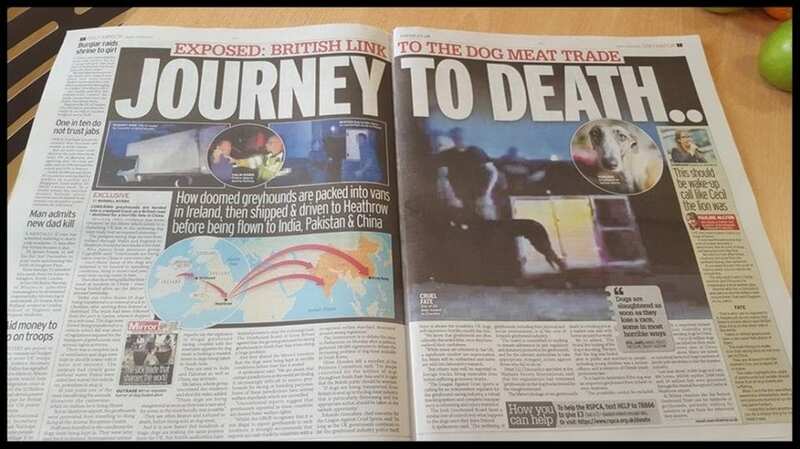 Following the media coverage in December 2017, about the export of greyhounds to China, we have been asked many times if this is true – and sadly we have to confirm that it is. 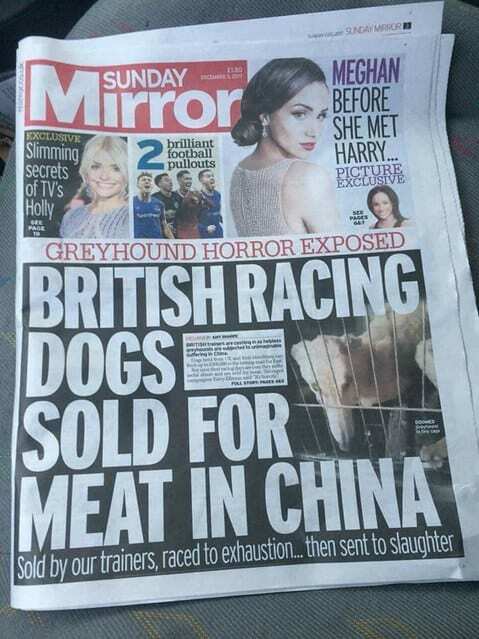 Many greyhounds including local greyhounds who have raced at Sittingbourne, Wimbledon, Brighton and Romford are ending up in China. All those associated with the tracks will deny this happens – the dogs listed below are just some of the ones who exported. 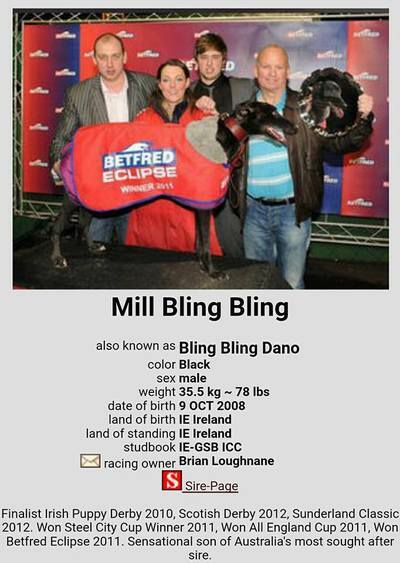 The happy pictures are of the owners/trainer with their dog when money has been won – it the image the industry likes you to keep in mind – but after the photo was taken, and after the money stops coming in – the smile is gone and the dog is exported to a life of hell. 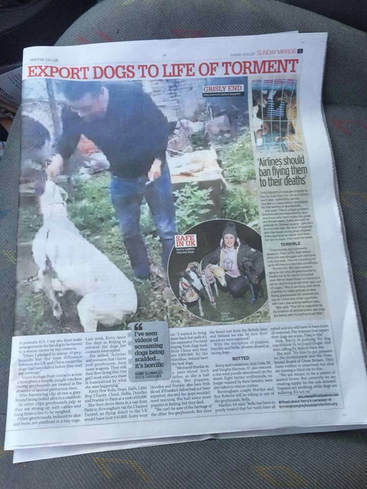 If the owner loved the dog they simply would not allow him or her to be exported to a life in China or Pakistan where there are no welfare laws. 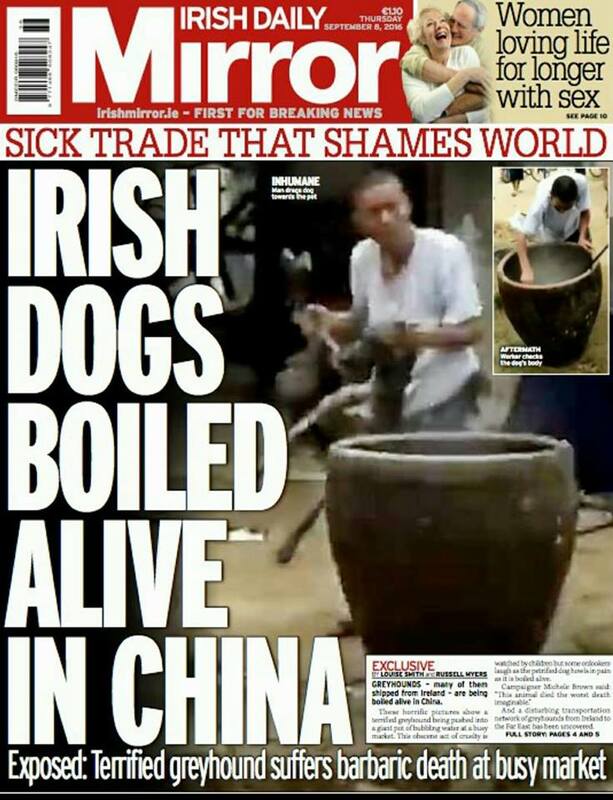 The dog you watched race at Sittingbourne, Romford, Wimbledon, Hove & Brigton or any of the other UK or Irish tracks could be rehomed or now the reality is that he could end up being boiled alive in China for human consumption. So purely for your enjoyment – this dog is living a life of hell – there is no sitting on the fence – if you turn a blind eye, or refuse to accept what is happening then you are as guilty as the animal abusers. These dogs raced locally – and what has been exposed in the press – in all probability – will happen to them and lots more like them. 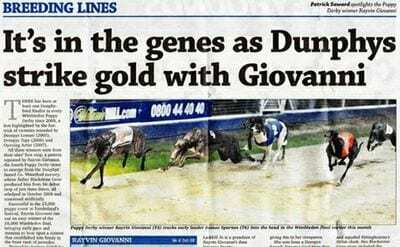 Beautiful black greyhound Exocet was shown off after winning the Kent Derby, greyhound of the month 2013, night of the stars winner and featuring in many newspaper sports pages. You expect that a champ like Exocet would receive the most loving family and sofa after giving so much, but his owners had other plans and wanted Exocet to keep bringing the money in, by using him for stud. 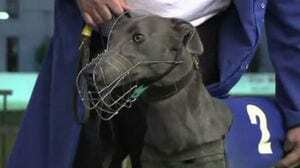 Exocet is a perfect example of how the racing industry squeeze every last penny out of the dogs and now the once talked champion has found his way inside the Nandong breeding industry in mainland China. Love the Dogs ??? I’m afraid not. Some of Exocets offspring can be seen in the pictures below and one girl gave birth to 15 pups! Beautiful Blue boy Farley Blitz will have already been exhausted after being transported from country to country. This lad was raced in Ireland, Scotland & England and very sadly has now been shipped off to Jinan which is the capital of China’s Shandong Province. Regardless of how much Farley Blitz tried, his owners never thought twice about selling him to the Chinese breeders. 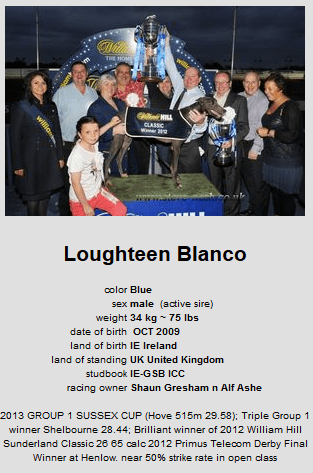 Loughteen Blanco is the 27th Irish & UK raced greyhound that we have found exported to Mainland China for breeding. 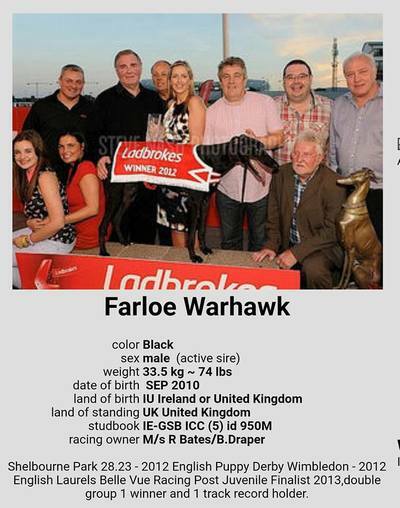 He is yet another high profile top winning greyhound to be exported to a country with zero welfare laws and a history of extreme cruelty to dogs. Loughteen Blanco is currently at the Yuan Xu breeding farm. Pay Freeze was raced in the UK and won some big races especially at the Owlerton stadium in Sheffield, once finished with Pay Freeze was sold back to Ireland and his new owner decided to send this champ to mainland China specifically the city of Zhuozhou in the Hebei province. 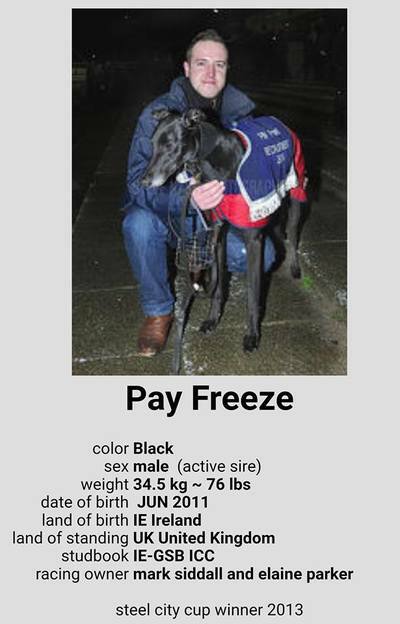 Pay Freeze is another example of a champion greyhound being sent to hell for dogs. Have you looked at our other Health and Welfare information?